Just as the old saying goes, sharing is caring. And who better to share with than our favorite equine! 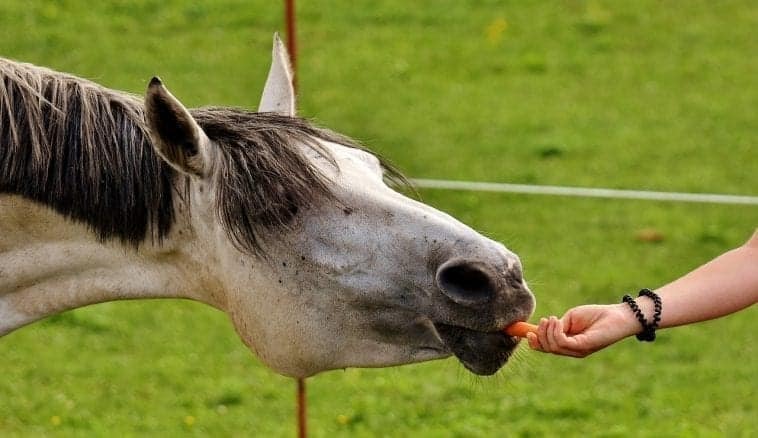 As we all know, there are basic foods that you can share with your horse–like apples and carrots. But you may be pleasantly surprised by some of the foods on this list. Read on to find our fun list of 8 human foods you can share with your horse. Please remember, horses are programmed to eat small amounts of food on a continuous basis, so your horse will ALWAYS want another treat, but for his well-being, learn to say no. Keep it to one or two treats, even if they come at with you with their irresistible equine charm. Selecting foods that are healthy and taste good and somewhat resemble foods that they’d consume in their daily diet are good options because it greatly reduces the chances for stomach upset. Your horse’s stomach is delicate, and despite their impressive size, their stomach is actually on the smaller size (about that of a rugby ball) in comparison to their structure/mass. I think anyone and everyone knows that horses love apples! 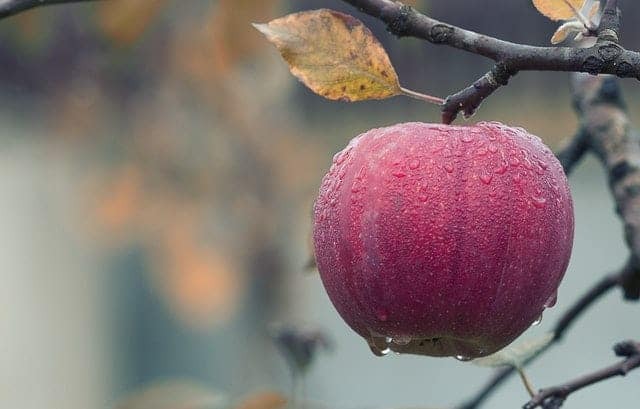 But practice precaution: a belly full of apples or any other fruit can easily cause colic and may lead to founder. Also, do your horse a favorite and take the seeds out before you give them a slice. Fruits (like peaches and apples) have pits or seeds which contain cyanide compounds that are toxic in extremely large quantities. 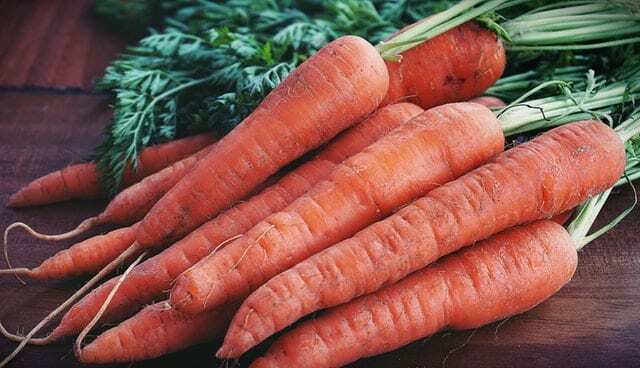 Despite the fable that carrots improve your eyesight, your horse will like the taste of these even though it won’t strengthen their large and lovely peepers. 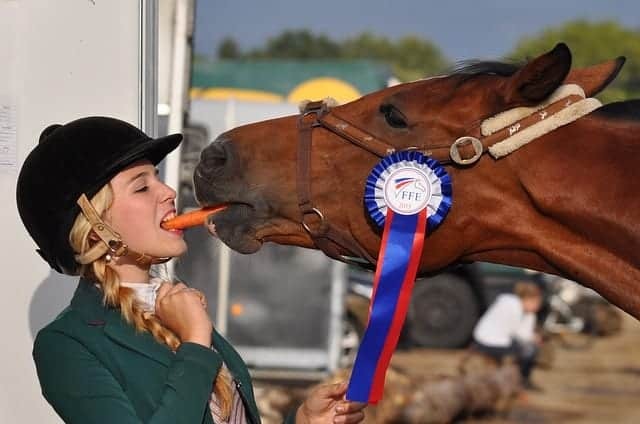 Just know that carrots are high in sugar, and it’s recommended that horses with Cushing’s syndrome, insulin resistance or equine polysaccharide storage myopathy (EPSM) avoid being fed large amounts of carrots or any other treat containing high levels of soluble carbohydrates (sugar). 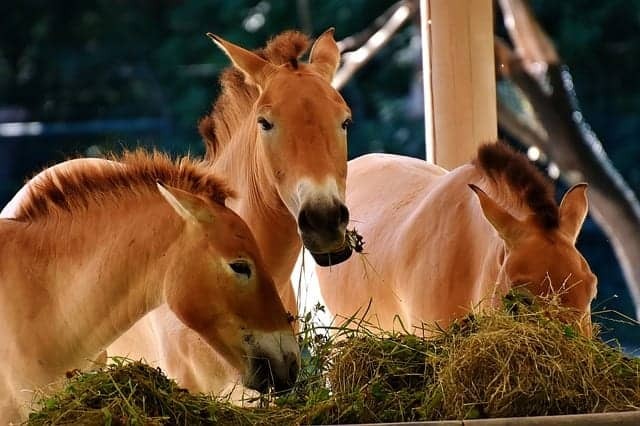 And you may also wanted to limit the number of carrots fed even for those horses in pristine health, as there have been a few isolated cases of horses acquiring a slight change of coat color when fed large amounts of carrots. 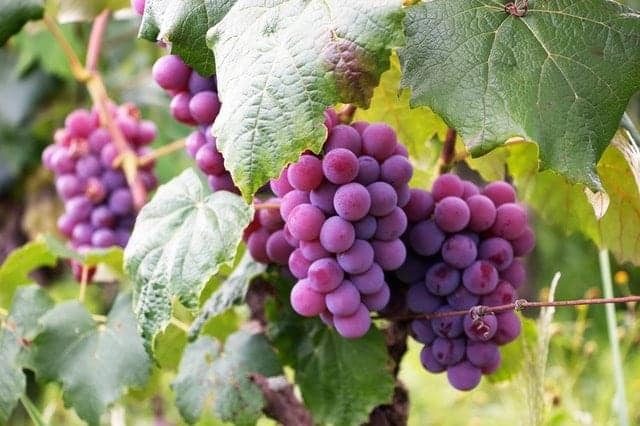 Although consuming grapes is very dangerous for small mammals like dogs and cats, this sweet treat is near the top of the list for human foods you can share with your horse. Just as we consider grapes to be a sweet snack, horses may favor grapes as a treat because of their naturally sweet taste. Keep in mind, a good rule of thumb when offering grapes as a treat is to limit the amount offered to one pound or less per day. No monkeying around, horses actually fancy themselves a banana as a fun treat. Interestingly enough, you can even give them the peel! Sneak in a little potassium while watching your horse’s curious side come out as they explore the soft and mushy texture of a banana! This is one where it’s actually safe for your horse to consume the seeds! A pumpkin as a treat can be perfect for when the leaves are falling down and fall is upon you. Just hold the spiced latte. What screams summertime more than watermelon? Your horse may be put off by the strong scent of honeydew or cantaloupe, but watermelon is a hit with almost any horse. Rind and all, your horse will likely gobble this juicy treat right up. Just do them a favor and remove the seeds as a precaution. You can never be too safe when it comes to your horse friend. This burst of fruity goodness should appeal to your horse and can serve as a great reward after a hard day’s work. 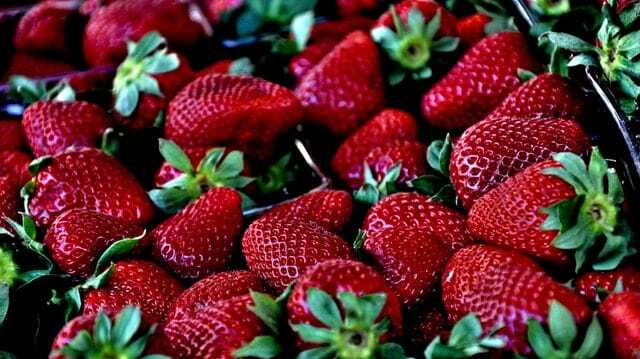 Strawberries are known to contain high amounts of antioxidants, vitamins, water, and fiber. This makes strawberries great for keeping horses well hydrated and healthy. Got strawberries growing anywhere in your pasture? Make sure they’re not accessible to your horse as they contain a lot of sugar and should be consumed in limited quantities. Many of us know that horses are fans of peppermint! And it doesn’t have to be Christmastime to treat our happy horses to one of these classic candies. 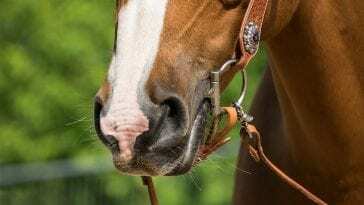 According to Equine Wellness Magazine, peppermint contains a bitter quality that increases bile secretion and helps stimulate the appetite as well as tannins, which can help with horses who suffer from loose droppings or bouts of diarrhea. Have you ever been curious about how much a horse eats and how often they do so during an average day? Well, the answer might surprise you! 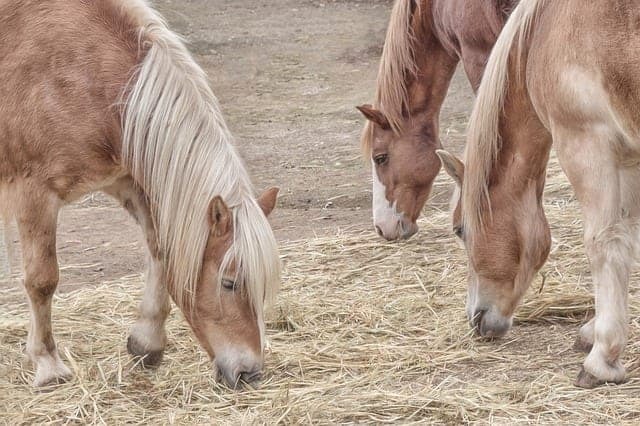 According to Dallas Equestrian Center: generally speaking, an active, healthy horse needs 2 to 2.5 pounds of feed for every 100 pounds of his weight. 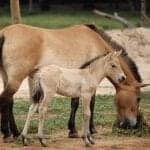 An average 1,000 lb horse needs 20 to 25 lbs of feed a day. 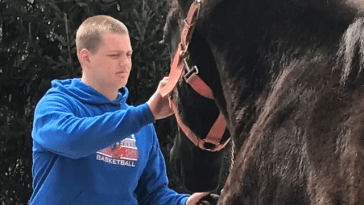 A typical diet for a horse being ridden for one hour for five days a week would be 2 to 5 pounds of concentrates and 15 to 20 pounds of hay per day. 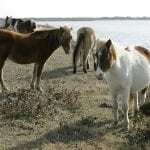 Because horses have a small stomach relative to their size, they eat little and often. A horse kept in a stable needs food spread out, preferably in two to three feedings a day. Horses should never go more than eight hours without food. And they also require 12 gallons of fresh, clean water each and every day! And even though we’ve shared with you foods that are equine approved in limited quantities, there are some foods that need to be avoided no matter what as it can lead to illness. These include tomatoes, avocados, rhubarb, onions and potatoes. 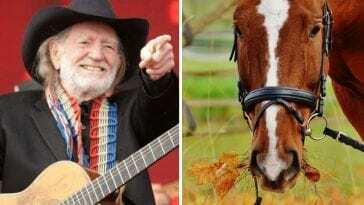 Also, never give a horse a food containing chocolate or caffeine as this can be toxic to them as well. Happy sharing!